Day two of my weekend rib excursion brought me back to the Northside neighborhood. 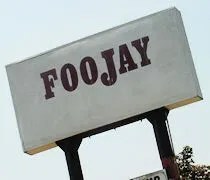 On the same day I found Velt’s Soul Food, I also found FooJay. They’re only a block or so from each other although FooJay is actually on Patterson just east of the intersection with Douglas. I would have never known they were actually a functioning restaurant if I didn’t see the smoker out front and, of course, a Gazette article after I did a Google search. I got out of bed a little later than I was planning on, but I still had time for lunch before I headed to Grand Rapids to work. My actual plan was to go get lunch and eat it at home, but I lounged around the house to long for that to actually be possible. My only option was to go pick up lunch on my way and either eat on the way to Grand Rapids or wait until I got to work. I walked into the restaurant about 1:45. 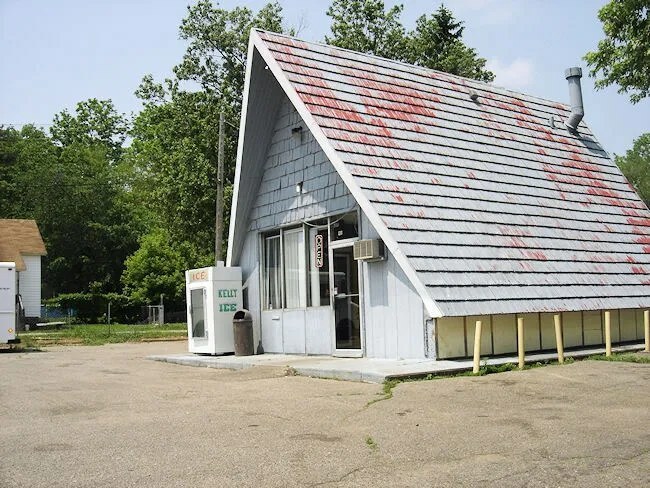 The old building across the street from the Christian Life Center is really small with only three booths in a small customer area. The order counter is behind glass and there’s a sign that tells you to ring a bell if you don’t see anyone in the kitchen. As I was looking over the menu, the guy working the kitchen came out and switched on the window air conditioner that was built in to the wall. It was pretty warm in the building but I didn’t plan on being there. 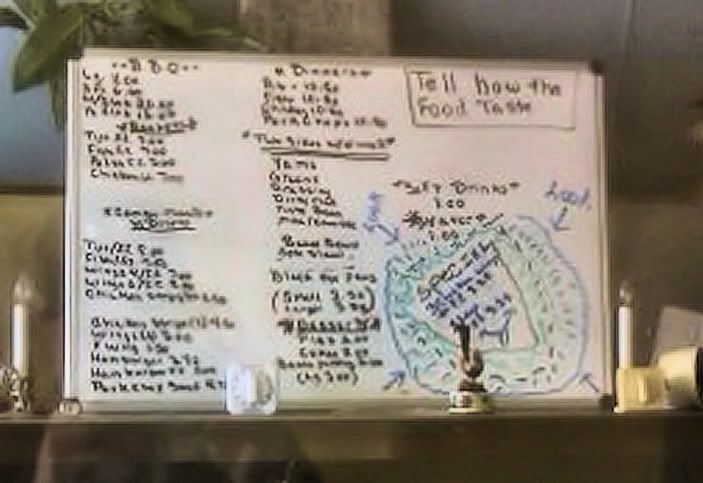 I quickly scanned the menu and saw the rib tips I was looking for. I put in my order for the rib tips and fries. I was told it would take about six minutes for the fries which was fine. I had about ten minutes before I really needed to get on the road so I had a plenty of time to wait on some fresh fries. Almost exactly six minutes later, I was handed a fry and asked if they were done enough or if I wanted them longer. They were fine for me so they were salted and boxed up with the rib tips. The bill was exactly seven dollars which I paid for with cash. Don’t quote me on this, but I’m not sure they take credit. I didn’t see a machine nor did I see the usual stickers on the door. Obviously, I couldn’t eat rib tips in the car. I would have made a helluva mess, but I did open up the overflowing Styrofoam container and went to town on the fries. They were out-of-the-bag (yes, I watched them pour them out of a bag) food service fries, but they were nice and golden brown with a light dusting of salt. I was asked if I wanted them covered in sauce. Normally I would take anyone up on that offer, but I declined because I knew I was going to eat them in the car. There was enough extra sauce on the rib tips that I could dip the fries and not make a huge mess all over myself or the car. 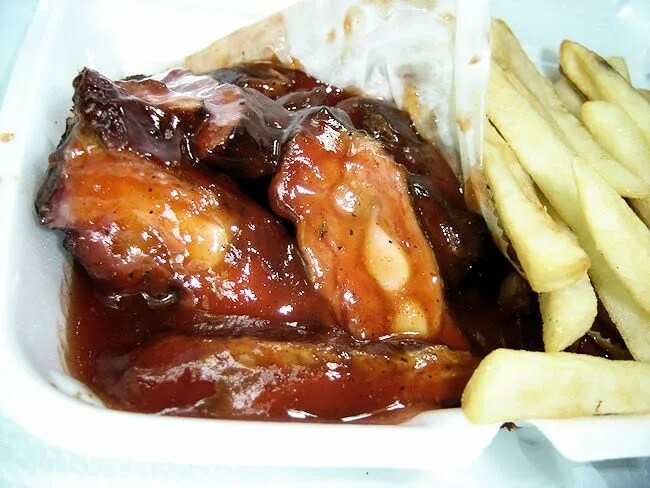 When I did finally get the chance to eat the rib tips, the first thing that jumped out at me was the deliciously sweet Memphis style BBQ sauce. I was given the option of light or heavy on the sauce and I am so glad I went heavy. The meat was tender and juicy with a smokey bark. I totally made a food of myself in the company lunch room as I hunched over the table greedily gobbling up the rib tips while my co-workers looked on jealously. FooJay is another one of those good, down home places that rely on secret family recipes to produce quality food. Great macaroni n cheese too! Homemade with love.